Since we started using story mapping last year, we’ve made experience mapping a regular part of all new project kick-offs. 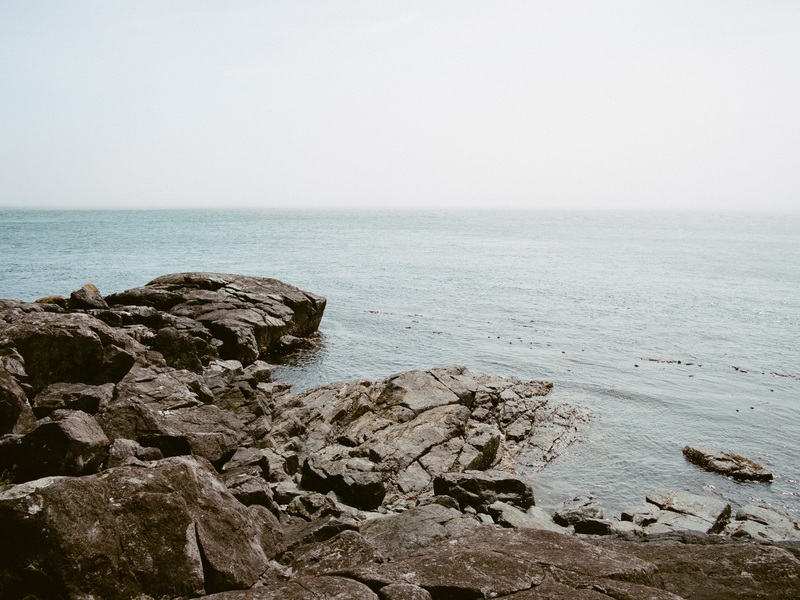 It’s the best way we’ve found to quickly generate and prioritise a product backlog. Reviewed these pain points to identify where a product might lie. The group then did some rapid persona development: a quick exercise to identify different users, the context each is operating in, and what they value. (This kind of persona development is described by Jeff Patton in this 2009 talk on pragmatic personas.) 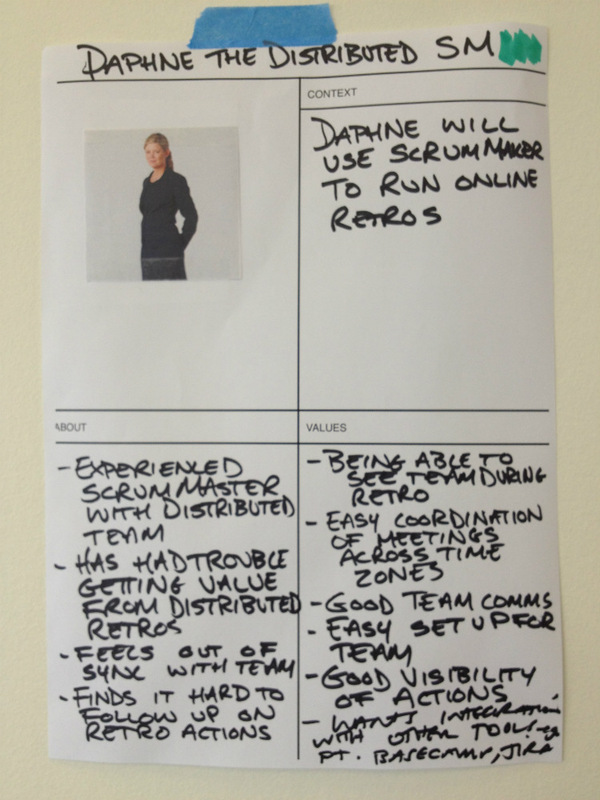 These personas were then prioritised, with Daphne the Distributed Scrum Master coming out on top. Integration with other tools e.g. Pivotal tracker, Basecamp, Jira. Taking the retro steps they had identified, the group then wrote features for the tool based on these personas. Finally, using Daphne as their priority customer, the group arranged these features into three releases: the minimal viable product (MVP) and two further releases that would add more and more value. And that was the end of the experience mapping workshop. Between the time that we ran the workshop (Tuesday) and the morning we met to start work on the new product (Thursday) Nathan worked with Federico, one of our Rails devs, to turn the features on the post-it notes into fully developed user stories with complete acceptance criteria, so a product backlog was available for the team on Day One. There was one more step between the experience mapping workshop and project kick-off. The team decided to hold a technical Q&A session, to thrash out some details so we could hit the ground running on Thursday. The next post in this series covers this technical discussion.